Located strategically on NH 49 for the convenience of the guests Las Palmas exposes to you the magic of the mountains from above. You can feel the mist in the morning and have the company of silence in the evening to enjoy. 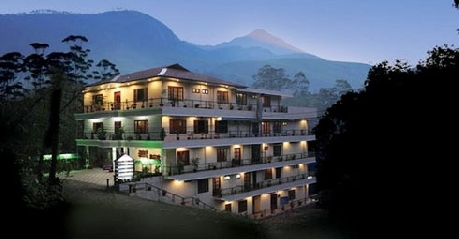 As dusk fall the hotel lights up like jewel in the middle of tall trees and tea garden to welcomes the creeping night. 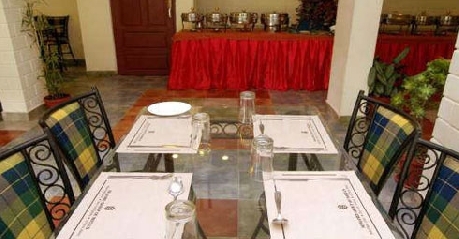 The hotel is dressed up with graceful interiors and modern amenities to facilitate the stay of their guests. 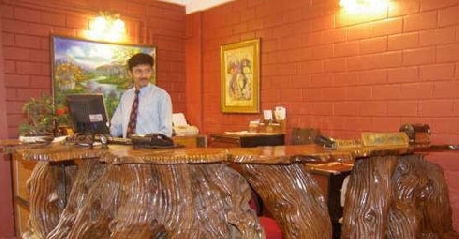 Well mannered and polite staff willing to render their service is appreciable. 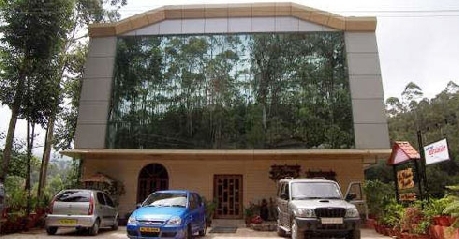 The Pandemonium is a state of art conference hall which can be used for seminars. Rooms are designed in such a way to make maximum space for the guests and at the same time they are designed to give a relaxed second home feeling. Well lit with natural and artificial lighting, round the clock room service, hot and cold running water. Doctor on call, news paper in lobby and wireless internet connections are available. 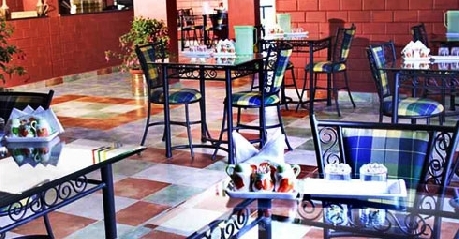 Perfect accommodation for two, the rooms have serene view to be cherished. Choose the room of your choice to savor through the stay. Laundry service, restaurant, door man, house keeping on daily basis, front desk and indoor games are available for the guest. Any request out of the way? The service staff can willingly do it for you. 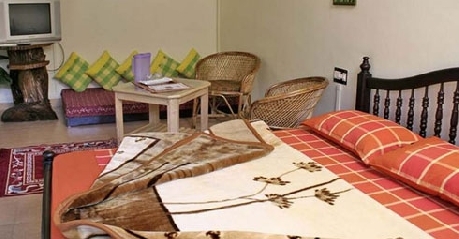 Dormitory is also available which can accommodate from fifteen to thirty people. “Doof” one of the biggest restaurants which serves cuisines like south Indian, Chinese and specialty Keralite food is proudly, in house at Laspalams Munnar. The must taste dishes are puttu which is powdered rice steamed in a special steamer and appam which is similar to rice cakes but differ in shape, these have a variety of side dishes to be tasted with either veg or non veg.